Alzarri Joseph pushes the ball to long-on and runs two. What a game! They did it only because of one man – Kieron Pollard! My goodness! A short-ball from Rajpoot. Pollard sends this one straight to the deep mid-wicket fieldder. 4 needed from 4 balls. Shami strikes in his second spell! Almost a yorker lenght from Shami as Siddhesh Lad moves across and tries a flick but his stumps are shattered. First wicket for Kings XI Punjab. MI need 198 to win! It's has been KL Rahul's show tonight! Chris Gayle gave KXIP a great start but Rahul took them to the commanding position with his maiden IPL hundred. Managed to take 13 off the final over to help KXIP post 197/4 in 20 overs. HUNDRED! MAIDEN IPL CENTURY FOR KL RAHUL! A shot down the ground for two and he has reached the three figures in 63 balls. Curran was looking for the third consecutive boundary. Went for a pre-meditated scoop but put up an easy catch for the keeper. Low full-toss from Hardik but the bat twists in the hands of Karun Nair as he went for the flick shot which went high in the air and was taken by Chahar at deep backward leg. Good catch! WICKET! David Miller departs! Miller wanted to get the full and wide ball away but edged it to the keeper. Not his night. OUT! Dangerman Gayle is gone! There was a small break before this delivery as Gayle looked tired and that has done the job. Gayle went ot clear the mid-wicket boundary but didn't find the strength as KP took the catch. Gayle c Krunal Pandya b Behrendorff 63(36). Wow! Time to take rest because even for the fans and others, this was a exhausting one. A proper T20 thriller was played at the Wankhede Stadium and at the end, Kieron Pollard takes the honours after playing a blinder of a knock. He single-handedly took the match away from Punjab, and he will remember this for a long time. Tough loss for Punjan to take. That's all we have for now. Hope you have enjoyed the coverage of the match. We will be back again for tomorrow's Rajasthan Royals vs Chennai Super Kings match. See you then! Drama at Wankhede. Rajpoot gives away initially with a six off a no ball then a four of a free hit to nearly finish the game in one ball. But Pollard couldn't deliver the finishing blow as he hit a short pitch ball straight down mid wickets throat. Alzari Joseph had two to get off the last ball in the end and showed good composure by not going for the glory hit when he saw a full toss. Instead he just stroked it past the bowler and ran hard to take his side home. The legend of Pollard at Mumbai keeps getting bigger and bigger. This team worships him in the dressing room. This crowd adores him in the stands. And he gives them what they want: A warrior who never stops believing. What a player. What a man. "Rajpoot injured his finger in the first over so we knew it will be a problem. We were little up and down with our catching. It was a par score, with the dew falling, Shami was excellent but we couldn't get through. Sam was obviously under the pump, it's his first experience in such a situation so he'll definitely get richer with the experience." What a thriller we witnessed! Mumbai Indians pulled it off thanks to Pollard's knock and some smart batting from Alzarri Joseph. He didn't panic and played the last ball like anyother one and ran two. Mumbai maintain their winning run, three in three matches. Joseph will bat for the final ball. Two needed from one. Mumbai need three runs from two balls. Alzarri Joseph doesn't take the advantage of another full-toss. A horror night for Sam Curran ends in the 19th over with Pollard collecting two sixes and a four. Mumbai Indians need 15 off the final over now with Pollard on strike. Who has the heart to bowl this? A free-hit. A full toss and a four from Pollard on the leg-side! 19.1: SIX! AND A NO-BALL! That's it! That's the end of Punjab. A low full-toss and Pollard sends the ball over deep square-leg. Pollard, you genius! He knew he could take his team home and with that confidence, he smashed 17 runs off the penultimate over. THey need 15 from the last six balls. What a player! This time he goes over long-on and that's huge one. I mean, massive! Sam Curran looks out of sorts today or maybe Pollard is just too much for him. Length ball and another six over long-off. Shami pulls it back slightly in the eighteenth over but has he provided enough cushion to the lesser experienced Punjab bowlers who now need to defend 16 an over. It's still not clear if Rajpoot can come back from the dugout and and bowl his final over. Width in the very fist ball from Curran and Pollard finds the boundary on the off side. He's doing it all alone. Two overs remaining and Mumbai need 32 runs. It's not impossible because Kieron Pollard is still there for them. Shami finishes his quota of four overs and he gives away just 21 runs and picks three wickets. Sam Curran to bowl the next over. A much-needed one for Mumbai. Alzarri Joseph makes room and smashes it over covers. Two sixes in the seventeenth over bowled by Curran keeps Mumbai Indians above the required run rate. Who's next asks Pollard with another flat six over square leg to end that over. Sam Curran comes back well after conceding a six in the first ball but then spoils it by bowling a full-toss to Pollard in the finall ball. That one goes for a six as well. Mumbai are still in the match thanks to their captain. A juicy full toss and Pollard sends it over deep square-leg boundary. The game's not done yet. No feet movement at all but that's not a problem for Pollard. He targets straight and gets the distance. What a match Shami is having! He gives away just four runs from his first spell and now comes back to take two big wickets. Hopes are fading for Mumbai, but they still have Pollard in the middle. He needs to do a Andre Russell here. Short ball and Alzarri Joseph pulls it for four. Henriques does well to attept a catch there. Who would want to bet against Pollard and his favorite partner in crime Pandya at the other end. You talk about intimidating bowling in cricket. These two are as intimidating as it gets in the game if you are running in with the ball. Pollard took Curran to the cleaners first. Ashwin's variations were dismantled. 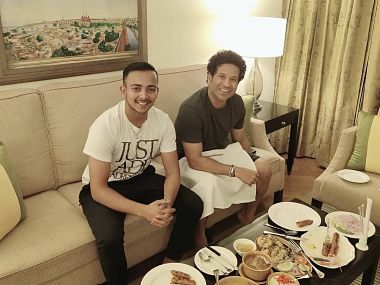 If these two are there at the end, then Mumbai will fancy their chances. Good over considering the situation of the match. Hardus Viljoen is getting his yorkers spot on. Just seven runs from the first five balls and dot to end the over. The required run is 12.6. Pollard and Hardik punish Ashwin! Not a great one from the captain who first concedes a four and then suffers against Pollard who smashes two huge sixes over the long-on. 19 off the over and Mumbai need 70 from 36 balls. A hugeeeee one! He makes it look so simple! Short ball from Ashwin and Hardik sends the ball to the leg side boundary. After conceding nine runs from the first two balls, Hardul Viljoen does well to give away just six from the rest of the balls. He bowls a few good yorkers with good pace. The first one is a five wides and the next one goes in the gap behind the square wicket. Hardik Pandya is off the mark. A good over for Mumbai turned bad by the time last ball is bowled. Pollard hits two sixes and four but the last ball resulted in a run out of Ishan Kishan. Watch our for low flying objects if you are in the stands at the Wankhede. Pollard is hitting them hard and he is hitting them flat. The required run rate is still on the higher side, but one thing Mumbai have in their favour is that they don't have to worry about a strategy. They can clear their minds and smash everything in sight from here on. Length ball and Pollard doesn't hesitate to smash it over the bowler's head. Change of length from Curran. Bowls a fuller one and Pollard hits it through mid-wicket. Could've been a stunner if the fielder pulled off the catch. Short ball and Pollard sends it over deep square-leg boundary. He's taking charge now. 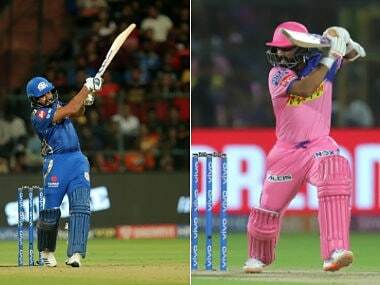 KXIP scored 104 runs in their last 10 overs while MI needs to score 133 runs from their last 10 overs. 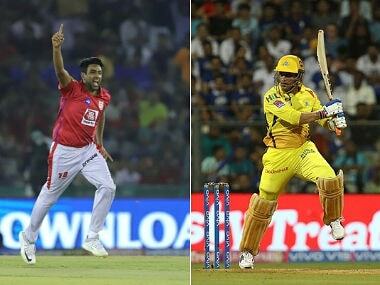 IPL 12 Match 24 MI vs KXIP at the Wankhede Stadium in Mumbai: What a thriller we witnessed! Mumbai Indians pulled it off thanks to Pollard's knock and some smart batting from Alzarri Joseph. He didn't panic and played the last ball like any other one and ran two. Mumbai maintain their winning run, three in three matches. 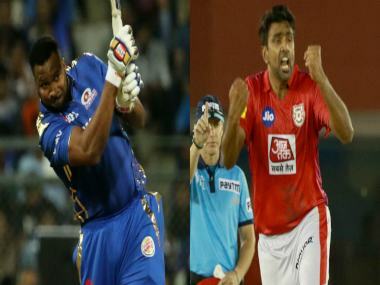 IPL 2019, MI vs KXIP, Today's Match Preview: Rohit Sharma's Mumbai Indians will look to maintain their winning momentum when they face Ravichandran Ashwin's Kings XI Punjan at the Wankhede Stadium on Wednesday. 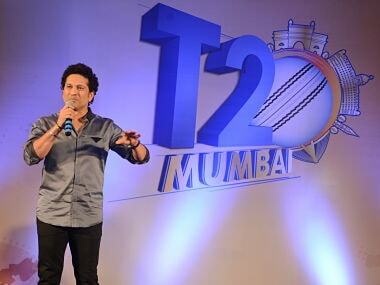 Mumbai have won their last two matches, having beaten Chennai Super Kings and Sunrisers Hyderabad. It's Mumbai bowlers who have getting the job done for the team. With the likes of Alzarri Joseph and Jason Behrendorff now playing, Mumbai have started make impact with the ball. 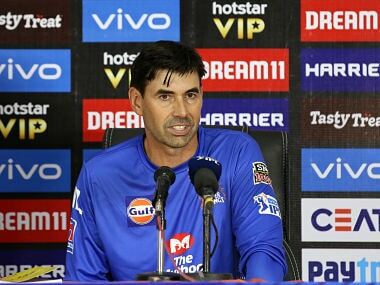 In their last match against the Sunrisers, Joseph, who was making his debut, picked six wickets, conceding just 12 runs – the best figures in the IPL history. The Kings XI Punjab are also coming into the match with a win. 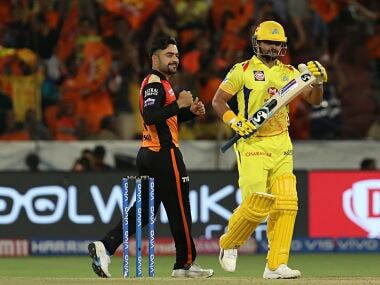 They had defeated Sunrisers Hyderabad in their last match so they would also look to maintain the winning run. KL Rahul has been in tremendous form, scoring three half-centuries already in the tournament while Mayank Agarwal is also showing his abilities with the bat. Mujeeb Ur Rahman and Ashwin will once again be the key when it comes to spin bowling and the team will bank on all-around efforts of Sam Curran. It will be also interesting to see the battle between Punjab batsman Chris Gayle and West Indian cricketer Joseph. 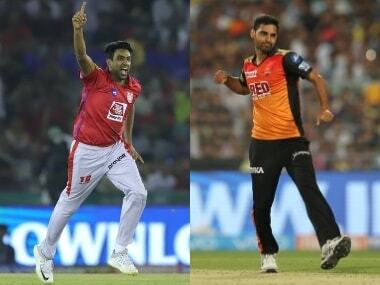 Kings XI Punjab Team 2019 Players list: KL Rahul (wk), Chris Gayle, Mayank Agarwal, Sarfaraz Khan, David Miller, Mandeep Singh, Sam Curran, Ravichandran Ashwin(c), Andrew Tye, Murugan Ashwin, Mohammed Shami, Mujeeb Ur Rehman, Karun Nair, Moises Henriques, Varun Chakravarthi, Harpreet Brar, Simran Singh, Nicholas Pooran (wk), Hardus Viljoen, Ankit Rajpoot, Arshdeep Singh, Darshan Nalkande, Agnivesh Ayachi.